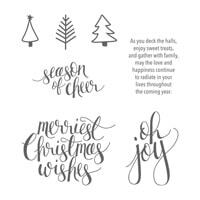 I love the Watercolor Christmas Project Kit in the Stampin’ Up! Holiday Catalog. The colors just pop, and the cards are so easy to put together. Best of all, most of the work is done for you – everything is cut and ready to go! All you have to do is stamp and assemble. 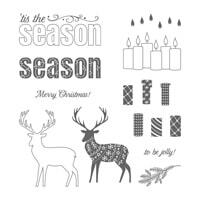 The coordinating Watercolor Christmas Stamp Set is an additional purchase, but you can easily use other stamps for your sentiments. Aren’t these pretty? And they really are easy to assemble. 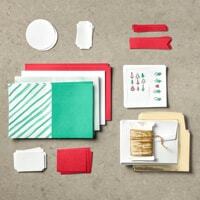 One kit has materials for 20 cards and envelopes. Look at the beautiful gold foil envelope liners. You can get all your cards made in a snap and WOW your friends and family when they receive your handmade cards this year. Everyone on your card list will think you’re a superwoman because you hand crafted your holiday cards and completed all the other tasks on your “to do” list. Hint – Sign up for the Season of Style Paper Pumpkin Kits in October and November to get even more help with holiday preparations! 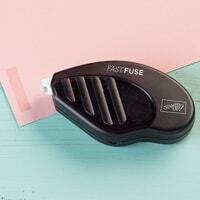 You can also order prepaid kits for yourself or to give as gifts. That’s one more thing you can check off your “to do” list! Because, really, wouldn’t you rather enjoy the holidays than stress out over them? If you’d like to invite some friends to get together and make their cards, we can schedule a party! We’ll put on a Christmas movie, make some popcorn, and stamp the night away (or at least two hours). If you have five friends and they order the kit and the stamp set, you’re well on your way to earning the Merry Patterns stamp set this month! 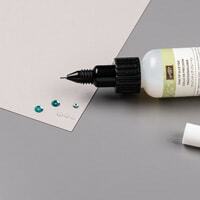 Plus, if you and your friends order the kit and stamps before October 10 and add the Fast Fuse Adhesive to the order, you’ll each get two free refills. Contact me today to take advantage of this great deal. 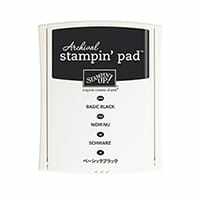 Watch this short video with Holly from Stampin’ Up! to see how fun and easy this kit is. You’ll have a blast at your Girls’ Night get together! This entry was posted in Holidays, My Paper Pumpkin and tagged card making Winchester VA, Holiday crafts, Merry Patterns, paper crafts, Paper Pumpkin, Rubber Stamping, Season of Style, Stampin' Up!, Stampin' Up! Demonstrator Winchester VA, Watercolor Christmas, Watercolor Christmas Project Kit. Bookmark the permalink.